T-minus one day to Thanksgiving, and we are excited! We are in the festive spirit in the Hill house and, we are staying ahead of the game so we can truly soak in all of the holiday goodness. 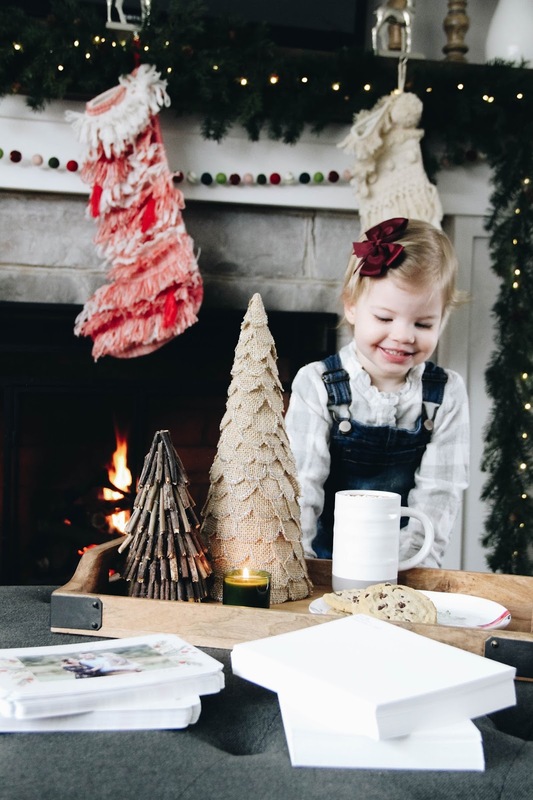 One thing I have noticed as an adult celebrating the holidays is how much the to-do's of the season tend to make things feel chaotic, or even worse like a chore. 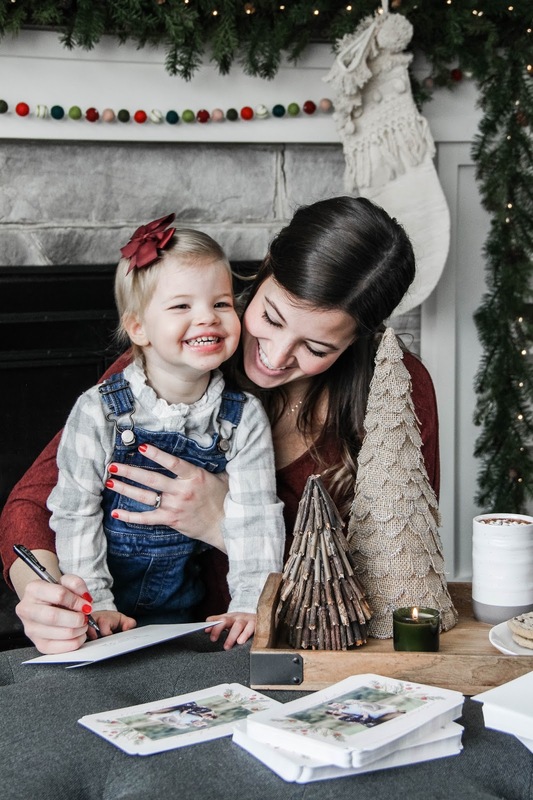 Whether it's Christmas shopping or making sure to get your Christmas cards out in a decent amount of time, it's easy to make these things feel like stressors. So this year my goal is to make sure that whatever activity we have planned in the name of the holidays is done with joy and no stress. Who's with me? 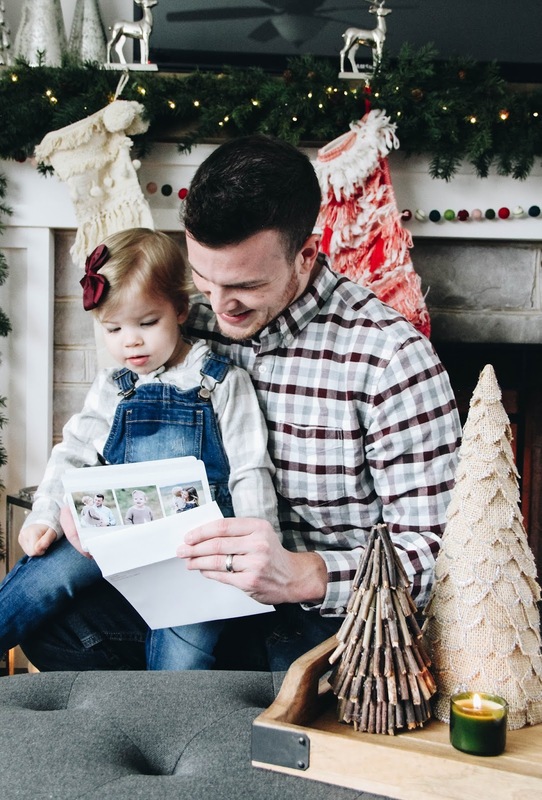 Christmas cards are one of my favorite parts of the month of December. I love opening the mailbox to find a handwritten envelope (or three) mixed in with all of the mail. There's just something so delightful about cracking open a Christmas card and enjoying the sentiment. Our fridge is covered in cards by the end of the month, and it thrills me. I love sending Christmas cards out as much as I love receiving them. I have so much fun selecting a design and matching it to the pictures. What I don't love is addressing all of the cards. That's easily my least favorite part, but it's a necessary part of spreading a little holiday cheer. And as a proponent of snail mail, I don't let it keep me from sending Christmas cards each year. So, in order to find a little more joy in the prepping aspect, we turned our prepping-card-to-do, into a little party with some of our favorite things. And y'all, it changed everything! Light a fire. It will do wonders for the mood in the room. Turn on Christmas music. There's nothing like festive music to get you in the spirit. Burn some balsam candles. You know if the room smells like Christmas, it's really going to set the tone. Make hot cocoa, and be sure to top with marshmallows. There need to be cookies. There always need to be cookies. If you have littles, involve them. Because if you make something feel magical, it truly will be to them. This year, I went with a beautiful water-color design, and I'm smitten with it. 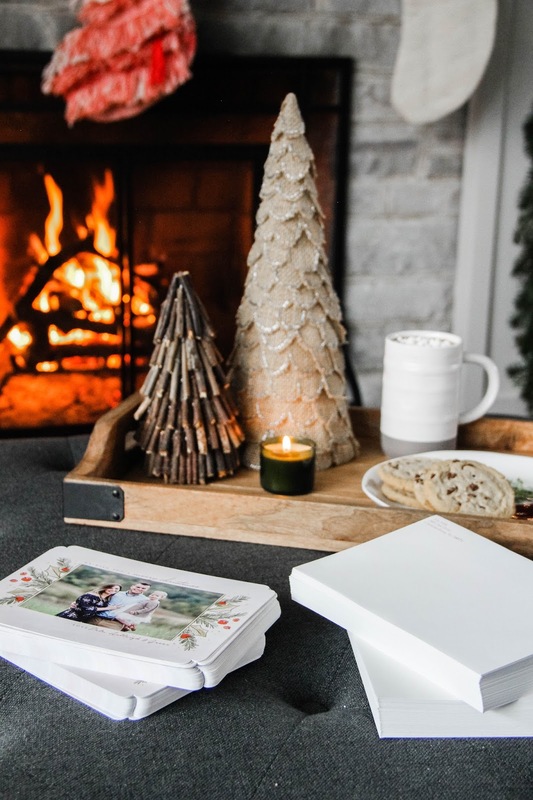 Mpix makes beautiful cards for any occasion, which made them my top choice for our Christmas cards this year. I also had the option of having my return address printed onto the envelopes. And that, my friends, is a time-saver! 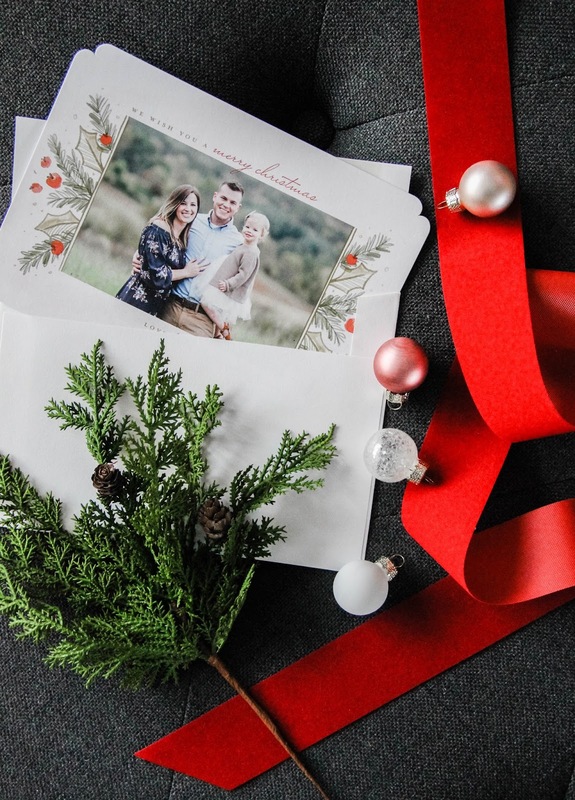 If you haven't yet given your Christmas cards a thought, I've got some news that's going to change that! For Black Friday Mpix is offering 50% off cards and free standard shipping on orders of $35 or more. That's amazing! So be sure to add to this to your Friday must-dos! This is a company I love with products that always surpass my expectations. From quality materials to gorgeous prints, you just can't go wrong with Mpix! This post was sponsored by Mpix. All thoughts and opinions expressed are mine alone. And y'all, I truly love this company!